Viator makes their mark at the gallery! 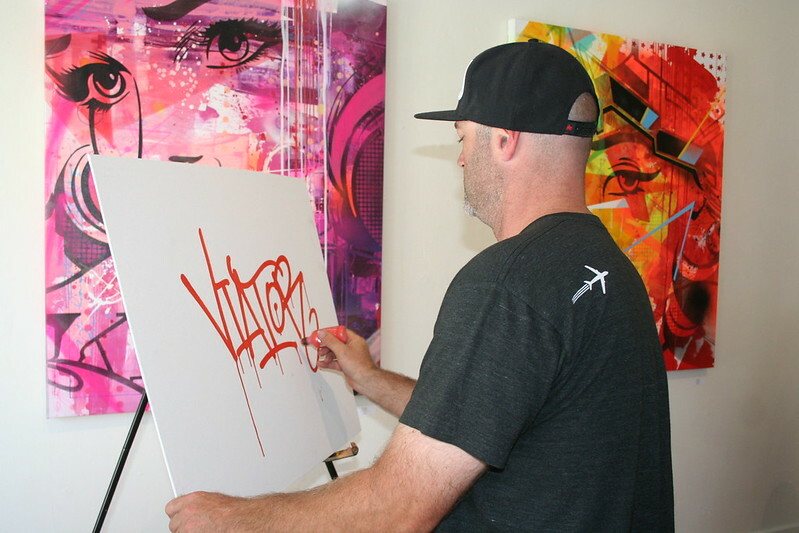 Home/Events, Graffiti Art, Mural Production, Team Building Workshops, Uncategorized/Viator makes their mark at the gallery! Viator may send its customers traveling around the world, but they were clearly at home spray painting and tagging at 1AM. 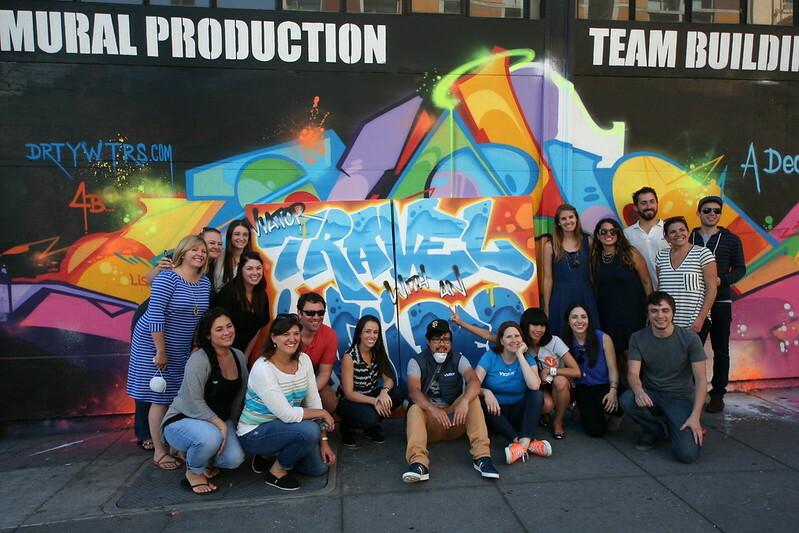 The team chose to produce their mural on canvas so that they could take it back to their office to showcase and they asked for the phrase “Travel with an insider” to anchor the mural! Shoot us an email at privateevents@1amsf.com to get the conversation started about your next team-building event!